Complementing my interviews, today’s Author Spotlight, the three hundred and thirty-seventh, is of multi-genre author and interviewee Jim Sellers. If you would like to take part in an author spotlight, take a look at author-spotlights. 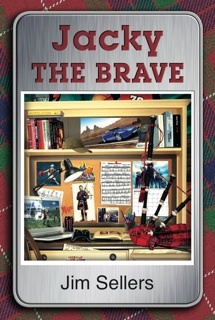 Jim Sellers is the author of the newly released YA book “Jacky the Brave”. Although he had written works in most genres, he was surprised and happy to see his first publishing success was in YA. His writing in that genre is based mostly on events in his own life with some inspiration from friends and other family members. “Jacky the Brave” is just such a collection of his experiences. Born in Edmonton in north-west Canada, Jim spent a lot of time reading and imagining exciting adventures as a kid. That was the favourite pastime of boys who didn’t play hockey and lived before the age of video games. Like most writers, he has been creating stories since his teen years and found the pen and paper to be a regular companion on long trips and quiet days. He also doubted that any of his work would be published – it seemed unlikely after watching other writers he knew trying so hard. So he set his sights on film and TV. During his 20 years in that business he learned the process of writing screenplays for drama and documentaries as well as advertising and corporate communications before retiring from that industry. For the last 10 years he has been working in communications management for non-profits groups and universities. He continued to write screenplays as show pilots or spec film scripts, most ending up in the rejection files. It was after he decided to get his Bachelor’s degree (at 50) that he learned to appreciate the sheer joy and freedom of writing fiction. It was this appreciation for fictional writing that caused him to re-evaluate all the abandoned stories he had filed away and all the adventures he had logged in his notes. In 2004, he made a project of writing a series of YA stories based on his previous writing. Each of these stories (4 in all) received different levels of interest from publishers and agents, with results ranging from boilerplate rejections to requests for full manuscripts (followed eventually by rejections). During this time he established a variety of websites about writing, posted his short stories and wrote a serial novel. After repeated rewrites and editing, his first Young Adult novel was accepted for publication in 2013. He is working on a sequel for the book, a short story collection and a novel. Welcome to the two hundred and eighty-fifth in this series that is ‘5pm Fiction’. Late April 2011 I discovered StoryADay.org and the project that is to write 31 stories in 31 days. Anyone who knows me or follows this blog, knows how passionate I am about short stories so my clichéd eyes lit up at this new marvel. And just a few days later there I was, breathing life into new characters. This went on to become (with some editing of course) my 31-story collection eBook Story A Day May 2011. 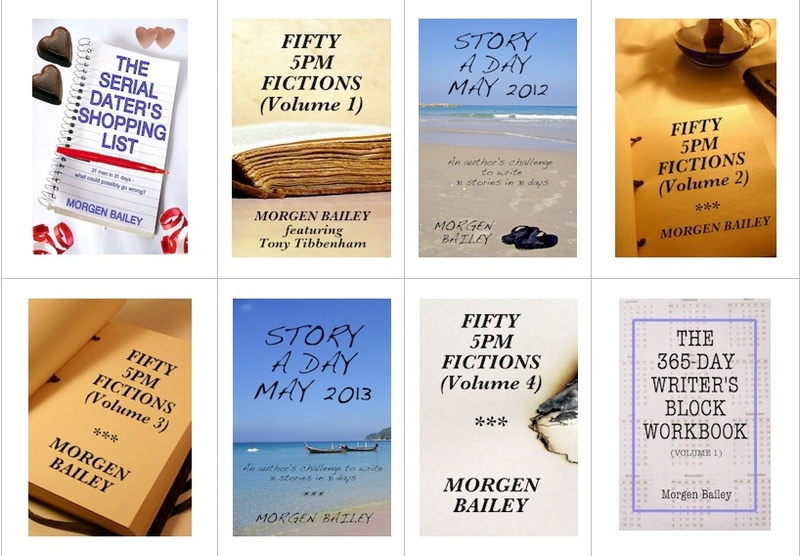 I have since published (as eBooks) the 2012 and 2013 collections, detailed on https://morgenbailey.wordpress.com/books-mine/short-stories/story-a-day-may. I was nearing completion of the 2012 project when I decided that I didn’t want to stop at the end of May so 5PM Fiction was born. I put a load of prompts on the 5PM Fiction page and today’s was to write a story in second person-viewpoint from the keyword prompt of ‘chase’. Here is my 356-worder. You’ve been chasing her for days, to get the photo that no-one else can get. She knows you’re there. There’s always someone there. It’s a lifestyle she’s had to become accustomed to, only you don’t think she ever will. It’s not one you’d want, except she’s become your job, your life. When she emerges out of the building, you reach over to your camera, on its dashboard tripod, and set it to continuous. You follow her car through narrow streets, wide streets – her executive to your jalopy, the only thing you could get at short notice. You’re used to this place, she’s been here a lot. Most of the shots are of the back of her head but you know she could look round. She has before. As her car gathers speed so does yours. It complains but it’s not yours so you’re not bothered. As she heads into the tunnel, she edges forward and you floor the accelerator, a little too close for comfort but you decide to go alongside, get level, no other cars in sight, so you swivel round your camera in anticipation, a momentary lapse in concentration. Welcome to Flash Fiction Friday and the one hundred and ninth piece in this series. This week’s is a 467-worder by freelance writer, blogger and book reviewer Angela Sturm. This story will be podcasted in episode 34 (with two other stories and some 6-worders) on Sunday 1st December. I can see him making his way up the stairs. No one else appeared to notice. I called to him and he smiled. I took his outstretched hand and in an instant we were walking through the cornfield, talking laughing, knowing. I suspect this will be our last outing together. I want to cry but for some reason I can’t. I am strangely happy, content to say nothing. We continued to walk and although our lips weren’t moving, our conversation carried on. I am having trouble remembering much of anything said, I only know how peaceful this is and I never want to leave. I held tightly to his hand. Memories of early morning fishing expeditions, milk toast and that awful smell of head cheese he loved to make, filled my mind and made us both laugh. I remember him clothing and feeding the homeless and that silly dance he did every morning while singing the wake up song, pulling at his hair and making it stick up. I was laughing so hard I barely noticed that we’ve stopped walking. He is looking at me now, time standing still. He looks so serious, gently placing his hands on my cheeks, searching deep into my eyes. I think I saw a tear trickle down his face. I have only ever seen him cry once, and it was when he told me stories about the war and how no man should have to endure what he witnessed. War killed his spirit. I can feel my tears now. Our journey has come to an end. The fields have disappeared. He’s not holding my face anymore. Desperate, I call out his name. “I am right here princess, do not be afraid.” I can barely see him. I call out again, “Why are you so far away?” “It is time,” he said. “I am going home.” Then a soft white light… well, more like a white cloud, appeared. He drew closer and smiled at me for the last time, then disappeared into the white fog. A door opened somewhere, more crying. I hear my name. Something has my shoulder. “Ava, Ava, wake up, honey.” I turn to look at the clock. It’s after midnight. “Dad and I need to talk to you.” My room is filled with family. They are staring at me. “Grandpa died in his sleep,” they said, “in heaven now,” but I already knew this. My grandfather and I were very close. I remember like it was yesterday when he passed. I was sixteen, eating a tuna sandwich watching the wheel of fortune. My grandma called and simply said, “I think Grandpa is dead. Can I talk to your dad please?” Calm as could be. I know now she was in shock, but back then, I kept wondering how she remained so composed. The flash fiction piece I wrote is based on actual events, but fictionalized. I miss my grandpa as much today as I did those many years ago when he died. I think about him often, the impact he had, and continues to have, on me, so I decided to memorialize him. “Watcher” was written with him in mind. Thank you, Angela. It was very moving, and having lost my father September 2001, I feel just the same. Angela Sturm is a freelance writer, blogger and book reviewer currently working on a novel. 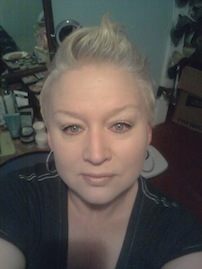 Angela lives in Minnesota, is mother to three children and one grandchild, and blogs at http://insideasanemind.com. If you’d like to submit your 6-word or 500-word max. stories for consideration for Flash Fiction Friday take a look here, or up to 1,000 words for critique on my Online Short Story Writing Group (links below). Welcome to the two hundred and eighty-fourth in this series that is ‘5pm Fiction’. I was nearing completion of the 2012 project when I decided that I didn’t want to stop at the end of May so 5PM Fiction was born. I put a load of prompts on the 5PM Fiction page and today’s was to write a story from the one-word prompt of ‘yellow’. Here is my 163-worder. She’d been on before. Dan recognised her brooch, yellow like the bus, but it wasn’t until she handed over the £2 coin, that he spotted the bandages round each wrist. He handed over the change. He wasn’t supposed to – the rules were exact money only and it was only 40p, but it gave him an excuse to speak. “I like your sunflower,” he said, but felt it a lame thing to say. “Thanks,” she said, looking down at the coins and blushing. “Nice to see you again,” he continued. “Once a month,” she said, tears forming. Unsure of what to say, Dan felt as if he’d been let into a secret. A man behind the woman coughed and as she put the change into her purse, Dan was sure he spotted a hint of a smile. He watched her walk towards the back of the bus and hoped he didn’t have to wait another month before they spoke again. 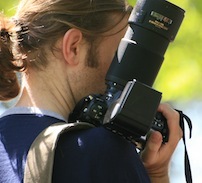 Photograph above courtesy of morguefile.com. Auto/biography: The New England Book Festival Competition – see below. Children’s: The New England Book Festival Competition – see below. Flash Fiction: Weekly challenge on theironwriter.com. Flash Fiction: Each month the Scottish Book Trust provides a prompt to get you started, but where the <50-word story goes from there is entirely up to you. Their favourite story will be published on their page and the writer will receive a lovely Novel Poster from The Literary Gift Company. You can submit your story in the body of an email or as an attachment and remember to include your full name with your entry. They also welcome entries in Gaelic or Scots. Flash Fiction: The New Writer 17th Annual Prose & Poetry Prizes launched April 2013. £2,000 in prizes. Closing date 30th November. Short stories, flash fiction and poetry. Flash Fiction: Indies Unlimited hosts a weekly 250-word max. prompt competition – see Indies Unlimited. Also see ‘Short stories’ below. Flash Fiction: Writer Austin Briggs runs a monthly 55-word competition (different theme each month). It’s free to enter and you can win $55 (of his own money!). Flash Fiction: Empirical Magazine started a monthly flash fiction (<1000-word) competition. Flash Fiction: The Writing Competition is a short story competition hosted by Jeni Durlston-Powell. This writing contest offers writers the chance to win cash and publication, and is currently run quarterly (late Feb, late May, late Aug, late Nov). Short Stories up to 500 words. Titles to be limited to 10 words. Open theme and genre. Entry fee: £4. Prizes: £100, £75, £50. See http://www.writingcompetition.org.uk and http://www.shortstorycompetitionhq.com/the-writing-competition-writing-competition for details. Mixed (novels & short story collections): iWriteReadRate and Cornerstones Literary Consultancy (voteformyebook.com) are offering a monthly social competition to members of the community – see ‘Monthly’ towards the end of this page. Mixed: Words for the Wounded (W4W) launching its first writing prize on Armistice Day, November 11, with a March deadline – see below. Mixed: The New England Book Festival Competition – see below. Mixed: Christian magazine Pockets has a different theme per month. Mixed: hud.ac.uk/mh/english/grist/competitions/index.htm (shorts & poetry). Mixed: The annual The New Writer Prose & Poetry Prizes: Short Story / MicroFiction / Non-Fiction / Single Poem / Poetry Collection. Closing date 30th November. You can enter at: thenewwriter.com/entryform.htm. Non-fiction: The New England Book Festival Competition – see below. Novels: The New England Book Festival has issued a call for entries to its annual program honoring the best books of the holiday season. The competition is currently accepting entries in the following categories: non-fiction, fiction, biography / autobiography, children’s books, young adult, how-to, cookbooks, science fiction, photography / art, poetry, spiritual works, compilations / anthologies, gay, unpublished stories and wild card (for books that don’t neatly fit elsewhere). All entries must be in English. Books published on or after January 1, 2010 are eligible. Deadline submissions in each category must be received by Tuesday 25 November 2013. Playwriting: livetheatre.com.au/html/cms/35/one-act-playwriting-competition-noosa has an AS$6,000 prize pot and a mid-November deadline. Playwriting: Almost Random Theatre is running two competitions – 1. Wellbeing Playwriting Competition: We are seeking one outstanding 20 minute play to be put on in Oxford, England in January 2014. The play must be no more than 20 minutes long and require no more than three actors. CLOSING DATE 10th October 2013. 2. Retreats Playwriting Competition: We are seeking one outstanding 10 minute play to be put on in Oxford, England in January 2014. The play must be no more than 10 minutes long and require no more than three actors. CLOSING DATE 10th November 2013. See http://www.almostrandomtheatre.co.uk/competitions. My thanks go to Margaret Taylor for the info. Poetry: The Writers’ Forum Poetry Competition is a monthly contest for poems of up to 40 lines. Closing: Monthly. Entries arriving too late (after the 15th) for one month go forward to the next. Prizes: 1st – £100. Runners-up – A Brewer’s Dictionary of Phrase and Fable. Entry Fee: £5 each, £3 each thereafter. Includes a critique (sae required if entering by post). Comp Page: writers-forum.com/poetrycomp.html. Poetry: The New Writer 17th Annual Prose & Poetry Prizes launched April 2013. £2,000 in prizes. Closing date 30th November. Short stories, flash fiction and poetry. Poetry: other November deadline poetry competitions include Cafe Writers, Countryside Tales, Cinnamon Press Writing Awards, The New Writer, Writing Magazine (WM: open to all theme: nostalgia), theploughprize.co.uk. Science-fiction: Aeon Award (quarterly), Writing Magazine. Screenwriting: Canada-based Wildsound run monthly screenwriting competitions. Short stories: The Erewash Writers’ Group competition website is running two free entry competitions and these close early November. One of our competitions has two categories of entry ie two age groups. We recently held our first competition open to entries from outside the group. It attracted all levels of writer from complete newbies to the professional. One of the successful entrants, their story chosen by our judge Keith ‘Carrot Nappers’ Large, told me they’d never even entered a writing competition before. I think it’s a good thing any writer will want to join in with a competition, whatever their experience and ability. In my opinion that’s what competitions are there for, to encourage us all to write and to give everyone an outlet for our short stories and other works. They’re also fun as they provide deadlines to work to and in some cases, themes to challenge us. Although one of our current competitions is already categorised so that entries from children will not be judged in competition with adult entries, we will consider this point you have raised when organising our future competitions. If I may add, we are in the process of putting a call out to seek a judge for an open competition we intend to hold in 2013. We are also seeking judges for mini competitions. At present, we are delighted Rosalie Warren author of ‘Coping with Chloe’ is judging one of our free entry competitions. If anyone reading this knows of anyone suitably qualified, please will they email Debbie at erewashwriterscomps@hotmail.co.uk to register their interest. Short stories: The Writers’ Forum Short Story Competition is a monthly no-theme contest for stories between 1,000 and 3,000 words. Closing: Monthly. Entries arriving too late (after the 15th) for one month go forward to the next. Prizes: £350, £150, £100 and publication in Writers’ Forum magazine (and possible anthology). Entry Fee: £3 per story for subscribers, £6 each non-subscribers. £5 extra for a critique (sae required if entering by post). Comp Page: http://writers-forum.com/storycomp.html. Short stories: The New Writer 17th Annual Prose & Poetry Prizes launched April 2013. £2,000 in prizes. Closing date 30th November. Short stories, flash fiction and poetry. Short stories: Short Sentences is a free-to-enter 1,000-word max competition run by Bloomsbury and has a different theme every two months (deadlines 30th September then 30th November) . Seehttp://www.shortstorycompetitionhq.com/short-sentences-crime-fiction-short-story-competitionand http://shortsentencecompetition.wordpress.com/rules-and-submissions for details. Short stories: Hayley Sherman runs a monthly short story competition for submissions on any subject up to 2,000 words. The winners are published on the website, promoted online and receive a £10 First Writer voucher. All entrants are also considered for publication in The New Short Story Annual at the end of the year. Deadline 25th of the month. Heather Marie Schuldt runs a similar contest, although 500-750 words max., but with the same deadline. Short stories: The FREE 2014 Commonwealth Short Story Prize is being run by Commonwealth Writers, a cultural initiative from the Commonwealth Foundation. Cash prizes are on offer for the winning writers, and prizes for translation are also available. Short stories 2000 – 5000 words. Genre, theme and setting is open. Writers must be citizens of a Commonwealth country. Writers do not need to currently reside in that country. Entries must be original and unpublished with the exception of personal blogs and personal websites. English entires only. Translations of short stories written in languages other than English are eligible if submitted by the writer (not the translator) and provided the translator is a citizen of a Commonwealth country. One entry per writer. Opens 1 October 2013, closes 30 November 2013. Free entry. 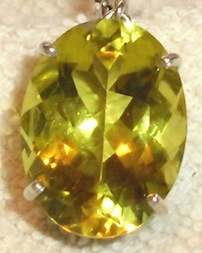 One winner is chosen from each regional category – 1. Africa, 2. Asia, 3. Canada and Europe, 4. Caribbean and 5. Pacific. One regional winner will be selected as the overall winner with four runners up from remaining regions. Overall winner will receive £5,000. Remaining four regional winners £2,500. If the winning short story is a translation into English, the translator will receive additional prize money: £2,000 for the overall winning story and £1,000 for a regional winning story. Details on: http://www.commonwealthwriters.org/prizes/commonwealth-short-story-prize/entry-rules. Short stories: The Bath Short Story Award opened October for entries – see ‘March’. Short stories: other competitions include Ashby Writers Club (Mary Gornell Memorial), Bridgehouse Publishing, Emerald Flash Fiction, Glimmer Train (different category each month), The New Writer, Writing Magazine (WM: open to all theme: flash fiction <500 words / subscribers only). NB. Don’t forget to check out the ongoing competition websites listed at the end of this page. Flash Fiction: Indies Unlimited hosts a weekly 250-word max. prompt competition – see Indies Unlimited. Co-run by interviewee Kat ‘K.S.’ Brooks. Also see ‘Short stories’ below. Flash Fiction: Each week on theironwriter.com, four writers agree to compose a five hundred word story involving the same four elements. Please remember to give your story a title. The stories can be in any genre except erotica. The writers will not know what the four elements are prior to committing to the challenge. There is a four day time limit to complete the story. I email the elements early Thursday morning, my time. The story is due at midnight, Sunday, your time. Each author retains full and complete copyright of their story submitted to The Iron Writer for this competition. However, it is understood each story will remain on this website indefinitely. The Iron Writer will not publish any submission outside this website without express permission from the author. So, if you are up to the challenge, please email me at HERE and we can schedule when you are willing to participate. Please include your main blog or website. I will link your story to your site. You may participate as often as you want. 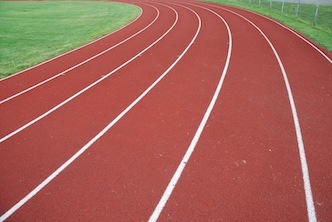 Mixed: Needle in the Hay runs weekly and monthly competitions (“awards”). See needleinthehay.net/submission-guidelines for their guidelines. Thanks to Jason Fink for pointing me in that direction. Poetry: Buxton’s Word Wizards slam poetry competition runs in the coffee lounge at the Grove Hotel, Buxton, Derbyshire, UK at 7:30pm on the last Tuesday of every month. Entry is £2.50. More info can be obtained by e-mailing Rob at: poetryslamUK@aol.com. Poetry: Well Versed is the weekly poetry column of daily UK newspaper the Morning Star, published every Thursday, in print and online. Poetry editor Jody Porter. Under the stewardship of the late and esteemed John Rety, Well Versed developed into a widely-read forum for new and established writers. Send submissions, with biographical information, to: wveditor@gmail.com. Poems need not be overtly political, but space is limited so they must be short to medium in length. Short stories: Flash Fiction Online occasionally closes to submissions (I guess because they’re overwhelmed), but they are currently open. Flash Fiction: Empirical Magazine runs a monthly flash fiction (<1000-word) competition. Mixed: iWriteReadRate and Cornerstones Literary Consultancy (voteformyebook.com) are offering a monthly social competition to members of the community; it’s a great opportunity to receive professional feedback as well as contribute to developing your profile and platform. The prize is a fantastic Cornerstones masterclass mini-critique on the winning writer’s first pages of their story, up to 2000 words. This is designed to give the writer a professional critique on how to improve the opening as well as hints to consider throughout their writing. Simply upload an ebook (novels or collections of short stories) to iWriteReadRate. Every month we’ll select five to take part in the competition. All the writer needs to do is promote it with their networks and aim to get as many votes for their ebook as possible. At the end of each month the ebook with the most votes wins the prize. Mixed: Pockets and Creative Print Publishing (both have different themes each month), Opening Editions (free). Novels: novelrocket.com/p/launch-pad-contest.html has monthly competitions (April-Sept) with a different genre each month. Scriptwriting: Scripped has a variety of script contests including a monthly one. Short stories: Hayley Sherman has a monthly short story competition. Short stories: Brighton COW (currently on hiatus), Coast to Coast, Glimmer Train (different category each month), Writing / Writers’ News magazines and Opening Editions. Short stories: Bound Off now take submissions via Submishmash. Short stories: Darker Times Fiction is a monthly short story competition for stories of 3,000 words and less in the horror genre or on the subject of ‘darker times’. It’s open to UK and international writers and ends on the last day of each month and costs £5 / $8 a time. Short stories: The Global Short Story Competition is a monthly event hosted by Inscribe Media. There is no theme or set genre. 2000 word maximum word count. Writers must be 16 years or over. Maximum 4 submissions per month. Closing Date: The last day of every month. Prize: Monthly first prize – £100, Monthly runner up – £25, Annual Grand Prize – £250. Entry Fee: £5 per story (up to 4 per month). Details from http://www.inscribemedia.co.uk/global-short-story-competition.html. Short stories: Hayley Sherman runs a monthly short story competition for submissions on any subject up to 2,000 words. The winners are published on the website, promoted online and receive a £10 First Writer voucher. All entrants are also considered for publication in The New Short Story Annual at the end of the year. Deadline 25th of the month. Short stories: Heather Marie Schuldt runs a short story contest, 500-750 words max., on her blog, with the same deadline (25th of the month). Short stories: fivestopstory.com/write: competitions cost £4 per entry (2 for £7, 3 for £8, optional feedback £5) and have monthly prizes of £50. There is also a £150 prize for the overall winner of their 2013 league table and you can become a member for £25 which entitles you to 3 free entries per month (2013). Short stories: LinkedIn’s Aspiring Writers Group runs a monthly short story competition. You do have to be a member of LinkedIn (free) and the writing group itself (a closed group but you can ask to join) to enter the competition. Flash fiction: Wow Women on Writing and writingcompetition.org.uk. Poetry: Flash 500 Fiction Competition. Short stories: Aeon Award, Cheer Reader, Dark Tales, Emerald Flash Fiction, Five Stop Story, Flash 500 Fiction Competition, and Writers’ Village. Children’s: Dal Burns‘ children’s writing competition ‘Write Across America‘. Children’s: Little Star Writing is a site where you can “get published, enter competitions, win prizes, play games, improve literacy skills, receive certificates and HAVE FUN!”. Flash fiction: One Forty Fiction and Wow Women on Writing. Mixed: What The Dickens magazine lists “competitions and give-aways which are all free to enter”. Mixed: You can apply for a three-month residency on the Mslexia blog (women only). Novels: Novel Rocket runs an annual Launch Pad Contest: Boosting You Out of the Slush Pile. Entries will be accepted in all genres beginning mid-January. The deadline for submission is different for genre categories according to the following schedule. In each case, entries must be received by 11:59 PM EST on the 10th day of the month (April to September) listed on novelrocket.com/p/launch-pad-contest.html. They also post a new writing-related article seven days a week, from author interviews to marketing discussions to articles about the craft of writing. Poetry: Poetic Republic is an ongoing online poetry competition in which the entrants are also the judges. Short stories: Creative Writers’ Circle competitions are open to all and are free. Short stories: Flash Fiction Online is a 500-1000 word site that is free to subscribe / read, free to submitto. Payment is via donations with 60% going to the author and 40% going to the site so there’s no way of knowing how much (if anything) you’d earn but another opportunity perhaps. Short stories: Author and columnist Lorraine Mace runs the Flash 500 flash fiction and humorous verse competitions. Short stories: on-going competition for submissions of 500 words or fewer on any theme. First prize is £100 plus publication on our website and promotion via our social media sites (twitter, google+ and facebook). Second prize is £75 and publication on the website, third prize is £50 and publication on the website. The judge changes quarterly and is currently BAFTA and OSCAR nominee, screenwriter, playwright and novelist William Nicholson. Entry is just £4. William Nicholson will be judging until 28th August when the competition will then continue with another judge.Entries would be very welcome and please tell your members that we just launched yesterday! (June 1, 2013) Thank you, Jeni. writingcompetition.org.uk Find us on Facebook: facebook.com/TheWritingCompetition?ref=hl Tweet us on Twitter: twitter.com/writing_comp. Short stories: Short Funny Story wants humorous short stories or true-life events and pay $15 for every story published online with $25 extra for any story chosen for inclusion in their anthologies. Short stories: Penny Dreadfuls 21 commissions short stories. Short stories: Words Magazine short story competition guidelines. Flash Fiction: Creative Times has a list of their top 10 paying flash fiction competition sites. There are also some listed on nationalflashfictionday.co.uk/competitions.html. Flash Fiction: @ShortStoryCompHQ has great list of flash fiction and short story competitions on shortstorycompetitionhq.com/directory. Mixed: Be a Better Writer has a list of (mostly American) current and future competitions. Mixed: Book Marketing Maven has a list of a few. Mixed: Duotrope is a great resource for competition and submission opportunities. Mixed: FanStory lists a variety of ongoing competitions and is a site where you can “share your writing and learn from the feedback that you will receive on everything you write. That includes poetry, stories, book chapters and scripts. When you post your writing you will get feedback that will determine your place in the rankings. FanStory.com is a popular writing site for writers of all skill levels”. Mixed: Fiction Addiction lists a few competition sites. Mixed: firstwriter.com/competitions has a great list of competitions but you have to subscribe (not free) to the site to access the full details. Mixed: Ideas Tap has a great list of allsorts. Mixed: Jacqui Burnett’s Writer’s Bureau has a list of a variety of forthcoming and ongoing competitions. Mixed: Carole Burdock’s bi-monthly magazine Kudos. Mixed: Loquax.com lists thousands of competitions including writing comps. Mixed: The National Association of Writers Groups (based in the UK) lists their competitions on nawg.co.uk/competitions/open-competitions. Mixed: Words Magazine has a variety of competition information. Mixed: The Poets & Writers website include contests, grants and awards. Mixed: prizemagic.co.uk has a variety of competitions. Mixed: Sally Quilford‘s competition calendar. Mixed: Trafford Publishing lists them a month per page. Mixed: free literary monthly magazine Words with Jam have regular competitions. Mixed: Write Link also lists forthcoming competitions. Mixed: Writers Reign lists short story, poetry, non-fiction, performing arts, rolling competitions, children’s writing competitions and book writing awards. Mixed: writingcontests.wordpress.com lists various competitions. Poetry: Poetry Kit, poetrylibrary.org.uk/competitions, Writers Reign. Poetry: You might also like to take a look at Poet Laureate Alice Shapiro’s website. Alice kindly provided some poetry tips for this blog in August 2011. 🙂 Poet Scott E Green dropped by and left a comment on my me page to say that his blog has multi-genre competition and submission info. I checked it out and it looks really useful. Poetry: The Writers’ Forum Poetry Competition is a monthly contest for poems of up to 40 lines. Closing: Monthly. Entries arriving too late (after the 15th) for one month go forward to the next. Prizes: 1st: £100. Runners-up: A Brewer’s Dictionary of Phrase and Fable. Entry Fee: £5 each, £3 each thereafter. Includes a critique (sae required if entering by post). Comp Page: writers-forum.com/poetrycomp.html. Scriptwriting: hollywoodscriptexpress.com/screenplay_contests.html, scriptfactory.co.uk/go/Default.html, writesofluid.co.uk/screenwriting-competitions.html, and thespiannet.com/writing_contests.shtml. Short stories: BookTrust has a wonderful list of over 50 short story competitions. Short stories: Christopher Fielden has a great list of multi-national short story competitions. Short stories: @ShortStoryCompHQ has great list of flash fiction and short story competitions on shortstorycompetitionhq.com/directory. Short stories: Writers Reign‘s short stories competitions page lists by deadline date. Short stories: other sites include Poetry Kit (“shorts & other comps”) and Words Magazine. If you discover any broken links, closed competitions or know of ones that I haven’t listed here, please do email me with details. Welcome to the two hundred and eighty-third in this series that is ‘5pm Fiction’. I was nearing completion of the 2012 project when I decided that I didn’t want to stop at the end of May so 5PM Fiction was born. I put a load of prompts on the 5PM Fiction page and today’s was to write a monologue from the prompt of ‘loveable rogue’. Here is my 496-worder. Like a dog with a bone. I’d always been like that. Take after my father. My mum’s the pushover. No, that’s not fair. Just softer, nicer really. On the inside and out. I’m just nice on the outside, when I feel like it… which is what got me in this position in the first place. I got greedy. One of the seven deadly sins. I’m working my way through them, not on purpose but just how life’s turned out. Adultery. Been there, a few times on both sides. Black eyes – given and taken. You don’t like me, I can tell. There’s not a lot to like, but you’ll get there. I do have some redeeming features, no black eyes at present. I’m fairly good looking without them. With them, the women feel sorry for me… like having a baby in a shopping trolley; I just put on my ‘not my fault’ face and they flock. So, you’ll want to know why I’m here. Or maybe you won’t, but you’re curious. Determined not to like me. But want to know why you might by the end of this one-sided conversation. Reserving judgement is a good thing. I’m a guns-blazing kind of guy, act before I think and suffer the consequences. OK, go back a couple of months, yeah, only just got here so it’s new to me too. I hit someone… in a van. They weren’t in the van, just me, but they were in the way so I kept going. Normally, I’d have stopped, but when you’re being chased, you don’t think straight, and the guy I hit – I’d have stopped for a woman, swerved at least, I’m not that bad. I knew him. Tommy Sandford, bad as me, worse, although you won’t believe me. I’m emotional bad, not really breaking the law, he’s a big-time crook… medium-time anyway. So far over the line, he can’t remember what it looks like. Didn’t take them long to find me, after hitting Tommy. I’d stolen the van. 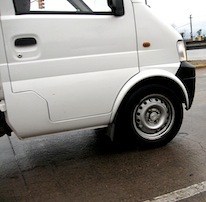 A publicity van – one that the council owns and a guy drives around the county changing their posters. Stupid git left the engine running. I hear an engine noise, no one in the driver’s seat, no one inside at all, I’m going to take it. Who wouldn’t? Invalidates their insurance, so it was his fault not mine. It was like a test, see who takes it first. I wasn’t the nearest, there were others but they were busy, or not paying attention. I pay attention so I thought, why not? How was I to know it had a tracking device? Today’s book review is brought to you by Beryl Belsky of The Writer’s Drawer. If you’d like your book reviewed or to send me a book review of another author’s book, see book-reviews for the guidelines. Other options listed on opportunities-on-this-blog. This intrigue is woven both subtly and directly into her book The Elegance of the Hedgehog,[i] which she dedicates to Stéfane, and who, it turns out, also cooperated in writing it. Both Renée Michel and Paloma Josse, the two main characters in the book, have a “Japanese side.” Renée is the concierge in a luxury apartment block in Paris. Superficially, she is the typical concierge, a drab, dour widow who lives alone in the small lodge allotted to such French “institutions” in the building. Underneath, however, she is an autodidact, a lover of Tolstoy and of Japanese aesthetics, which she has absorbed from watching numerous Ozu films. Paloma, a 12-year-old girl living with her upper middle class, socialist parents on the fifth floor, is also hiding a secret: her super-intelligence and her decision to kill herself when she reaches her 13th birthday. In the meantime, she searches for meaning to life by keeping two journals, one of “Profound Thoughts,” with each “thought” prefaced by a verse in Japanese haiku (3 lines) or tanka (5 lines), and the other of “the Movement of the World,” about “masterpieces of matter.” For light entertainment, she reads Japanese manga comics (she is studying Japanese at school). I’ve had my own suspicions on the matter for a while now too… I’ve been watching her. 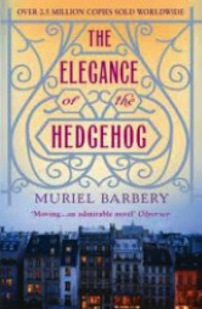 .. Madame Michel has the elegance of the hedgehog: on the outside she’s covered in quills… but my gut feeling is that on the inside, she has the same simple refinement as the hedgehog: a deceptively indolent little creature, fiercely solitary ‒ and terribly elegant. Today, because our ritual has been transgressed, it suddenly acquires all its power; we are tasting the splendid gift of this unexpected morning as if it were some precious nectar; ordinary gestures have an extraordinary resonance, as we breathe in the fragrance of the tea, savour it, lower our cups, serve more and sip again: every gestures has the bright aura of rebirth. … pure beauty striking the summer sky, awe-filled respect absconding with your heart, a feeling of significance at the very heart of the sublime, so fragile and swollen with the majesty of things, trapped, ravished, amazed by the bounty of the world. And that I am deserving of life. In that split second, while seeing the stem and the bud drop onto the counter, I intuited the essence of Beauty… a calm mind, lovely roses, a rosebud dropping… It’s the ephemeral configuration of things in the moment when you see both their beauty and their death. I will not give too much away about this book, which deserves a second and possibly even a third reading to appreciate its multiple layers and views of life, not to mention its biting humor. And despite all the philosophizing, there is a story line. There is no doubt in my mind that Muriel Barbery, who is herself a professor of philosophy, wrote this book partly as a way to set down, in essay form, her own thoughts, which are strongly influenced by Japanese aesthetics, as well as to mock “high” bourgeois intellectualism and academic pretentions. Renée and Paloma are the ideal vehicles for this task; Kakuro is the catalyst who discerns their “Japanese side,” draws them out and leads them to understand that they are not alone in the world, but three kindred spirits. Whether the book ends on a tragic note because Barbery understands that Kakuro’s and Renée’s feelings for one another cannot go any further in a society where class boundaries continue to constrict, only she can say. But Paloma has the final word and in it there is hope and redemption. Finally, a word should be said about the translation. Translation is an art in itself, and credit should be given to Alison Anderson for her excellent and nuanced work. A novelist herself, she deserves a place among lauded translators such as Maureen Freely, who interpreted the complex works of Turkish author Orhan Pamuk so brilliantly, and Nicholas de Lange, who has produced from the Hebrew wonderfully fluent English renditions of several of the classic works of Israeli author Amos Oz. [i] Originally, L’élégance du hérisson (Paris: Editions Gallimard, 2006). This review was originally posted on http://www.thewritersdrawer.net/barbery.html. A fascinating book. Thank you, Beryl. 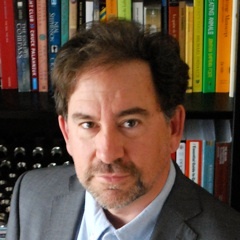 Beryl Belsky is a graduate in East Asian studies (Japanese) and political science from the Australian National University, and works as an academic editor. She was born in Eire, grew up in Australia, and currently lives in Israel. If you would like to send me a book review, see book-reviews for the guidelines. Other options listed on opportunities-on-this-blog.